DaDestroya, Negrosapien and HemmRage were raised in the quiet town of Chateauguay, Quebec. As children, they recorded songs and radio broadcasts amongst themselves for fun on tape cassettes. In the 1990s, the three brothers had a chance encounter with the HipHop legend, Special Ed who coincidentally, also happened to be their uncle (or, ‘big cousin’ as they call him). This was the start of it all. As youths they were further inspired by acts as unique as Wu-Tang, as eccentric as A Tribe Called Quest, world wide as Jay-z, new age as Kendrick Lamar and as underground as Necro. It was necessary for them to develop their own method, and later, their own controversial beliefs concerning music in general. DaDestroya, passed the time writing rap verses during high school classes and insulting local up and coming rappers during lunch hours. He held a fundamental belief as to how music should be made. Few agreed with his opinions and instead chose “imitation instead of innovation”. His adamant refusal to this way of life led to his assembling a group of rebels in his school known as Tha’ Rappture. The group disbanded after conflicts of interest in the other members’ personal lives. But he continued on, along with his fundamentalist HipHop beliefs. Negrosapien, who at the time wrote poetry in his book of rhymes, joined forces with DaDestroya to continue the struggle. He brought a persona never before seen in Montreal, a demeanour as unique as his personality and a voice as commanding as a dictator. The two formed a formidable alliance, and eventually released 4 EPs (Bereavement, The Death Weapon EP, The Earth Is Flat EP and The Human Error EP), each of which gained airplay on the local radio stations in their area. This led to them releasing their first album Speak With Our Hands in 2008 and the critically acclaimed Closed Captions LP which was released recently to rave reviews. The group began to garner more attention locally and otherwise. HemmRage, who supported his brothers from the beginning, mastered the craft of producing music in private. He too began working alongside the two brothers, which led to a big shift. From that point forward, their group had changed forever. No longer did they depend on anyone other than themselves for support as they did in the beginning. Their music was their own. The beats and especially the lyrics, came entirely from their heart and soul. 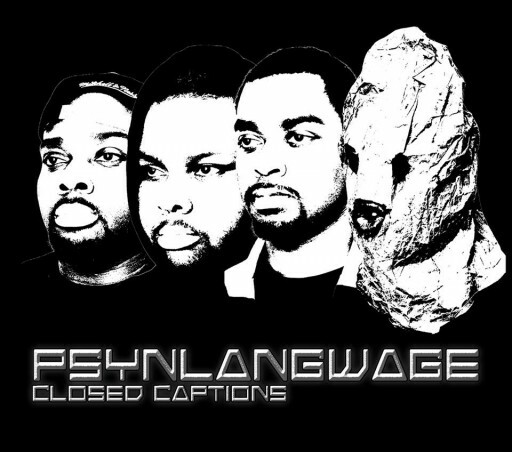 Calling themselves PsynLangwage was the result of being determined to: “SPEAK TO YOU IN A DIFFERENT WAY” PsynLangwage is a REVOLUTION for all music lovers. It is not rap music, it is not hip-hop music, and it’s definitely not country. This is PsynLangwage. And their passion? Getting YOU to PSYN UP.